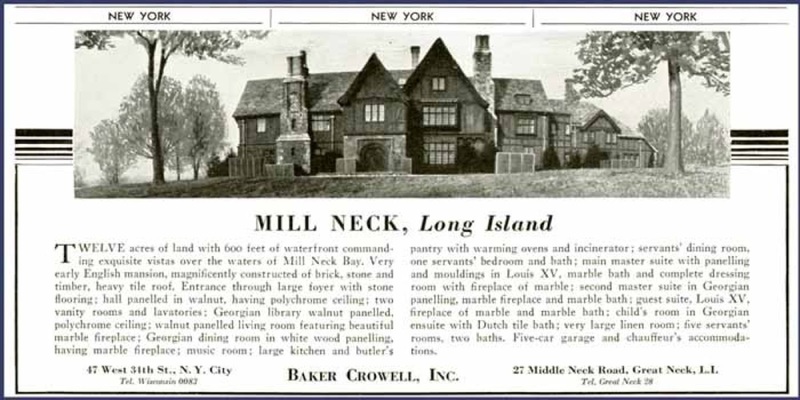 A 1930 advertisement for 'The Chimneys', the Mrs. Charles Porter Wilson estate designed by Hart & Shape c. 1928 in Mill Neck. Click HERE for more on 'The Chimneys'. Click HERE to see the estate on google earth and HERE on bing. This home was up for sale a year or so ago, anyone hear of it being sold or taken off the market? 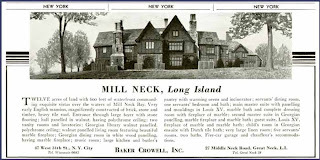 This was Lillian Goldman's house- she did extensive work on it- lovingly. I believe that her children still own it.